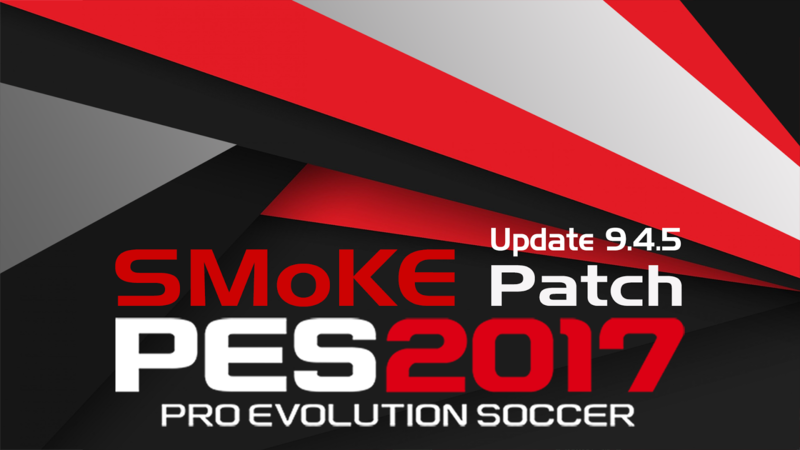 Update Patch PES 2017 Terbaru dari SMoKE V9.4.6 – Berikut penampakan dan fitur update patch PES 2017 dari SMoKE V9.4.6. this update applied all summer transfers, created new signings for teams all over the world, if any transfer is missed we will correct. major review is made for various teams, most leagues is reviewed and updated, including adding missing players, correct transfers and any other relative updates. update the Argentine league for the new season, the league contained 30 teams is now reduced this season to 28, 2 demoted teams replaced with promoted teams, and two demoted teams replaced with new teams. a lot of stats review in this version, a lot of players players have stats from pes 2018 database. added more real faces and fixed some face that was not showing correctly in previous versions. added a lot of new players to their respective teams. added more updated kits, every version contains more new or updated kits for teams from all over the world, as you might notice we started with the bigger teams . more kits in every update. CL participants with the newly created teams Maribor for CL and Vardar for EL.